Teva has won another battle in the war to defend multiple sclerosis (MS) blockbuster Copaxone from generic competition, defeating Mylan in a court case heard in the Netherlands. The District Court of The Hague denied a bid by Mylan to overturn a European patent (No. 762,888) that expires in May 2015, giving Teva a few more quarters of European market exclusivity for its biggest-selling product. The Dutch ruling follows another favourable outcome in a UK appellate court in July, and means that any company seeking to launch a generic would need to go through a full approval process in the Netherlands, according to the Israeli drugmaker. Copaxone (glatiramer acetate) has been the engine for Teva's growth for more than a decade, with sales currently running at more than $1bn per quarter, although it could face competition sooner in the US after a court decision in July invalidated certain patents on the product. That ruling - which is being appealed - could allow Momenta Pharmaceuticals and Sandoz to launch a copycat version of the drug as early as next May, more than 12 months earlier than expected. Teva has argued for some time that the complexity of Copaxone's formulation means that generics could have unpredictable, immunogenic effects, although this is disputed by its generic rivals. Meanwhile, the company is trying to develop an improved three-times-a-week formulation of Copaxone which could help defend the franchise once exclusivity for the current once-daily formulation expires, and is hoping for US approval in the first half of 2014. It is also trying to develop an oral version of the drug to help stave off competition from newer MS treatments such as Novartis' Gilenya (fingolimod), Biogen Idec's Tecfidera (dimethyl fumarate) and Sanofi's Aubagio (teriflunomide). 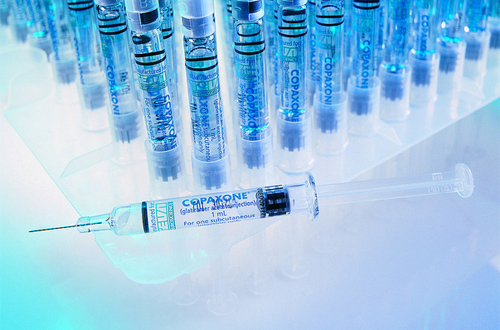 Maintaining Copaxone revenues is particularly important for Teva after it was ordered to pay $1.6bn in compensation to Pfizer and Takeda for infirming the patent on their Protonix (pantoprazole) gastrointestinal drug.